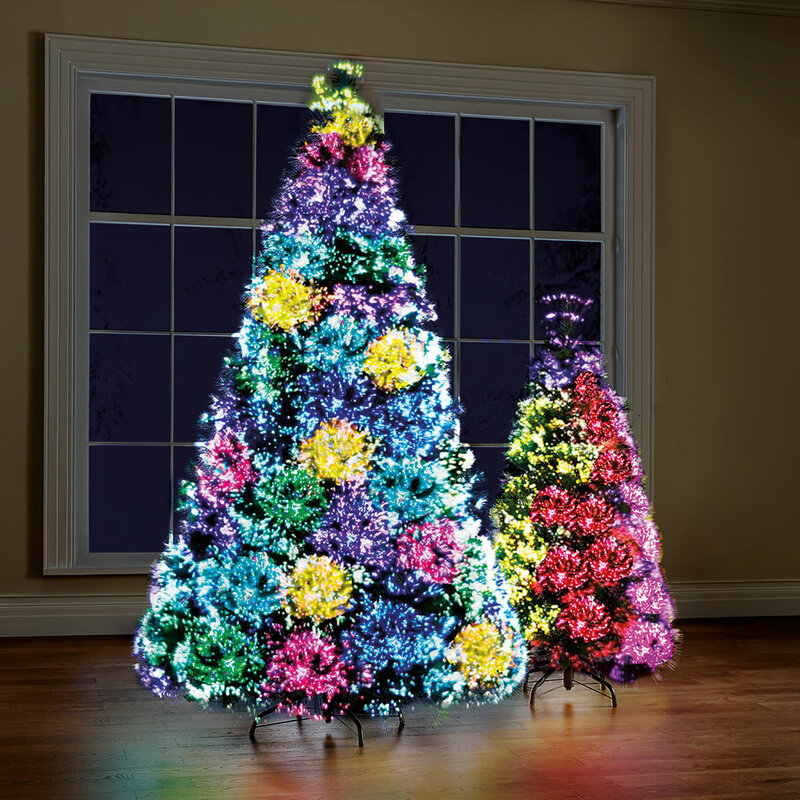 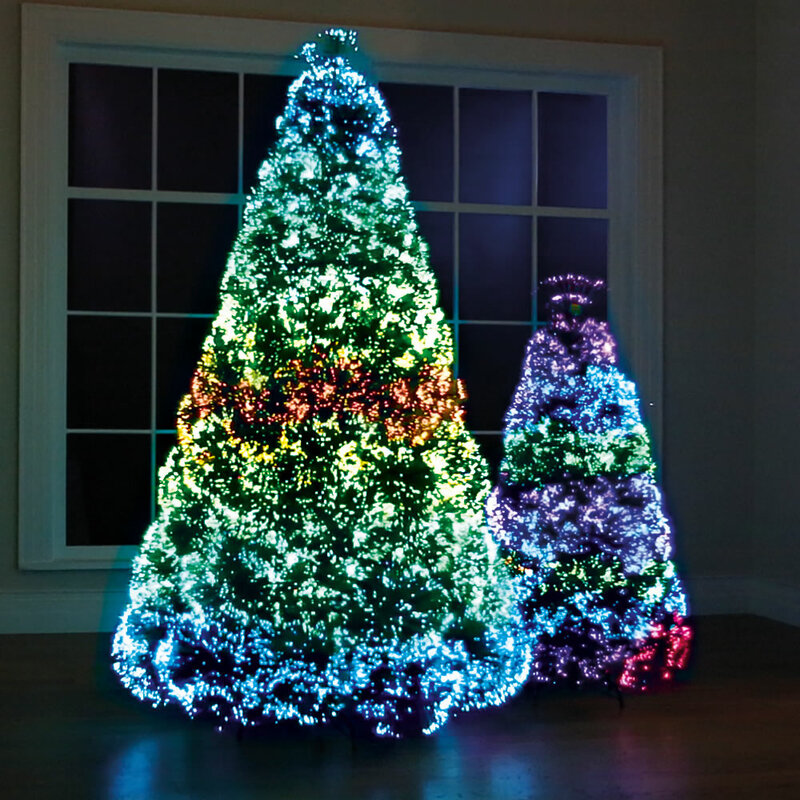 Only available from Hammacher Schlemmer, this is the fiber optic Christmas tree that creates a dancing cascade of colors along its branches. 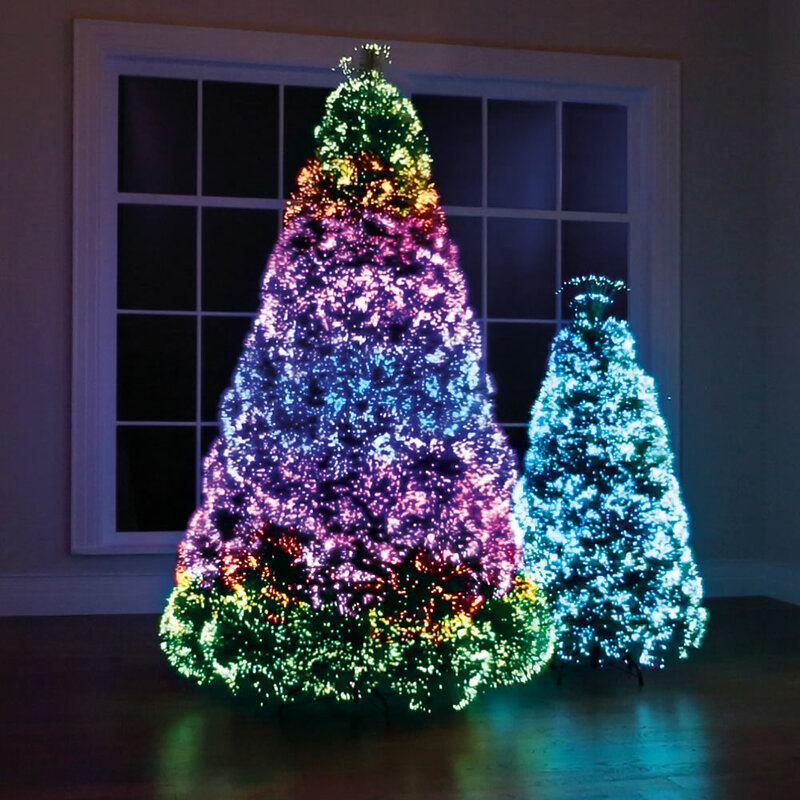 Using multiple LEDs to illuminate its fiber-optic tips, the tree lights a room with an auroral effect that displays an array of bright holiday colors in 23 different synchronized patterns. 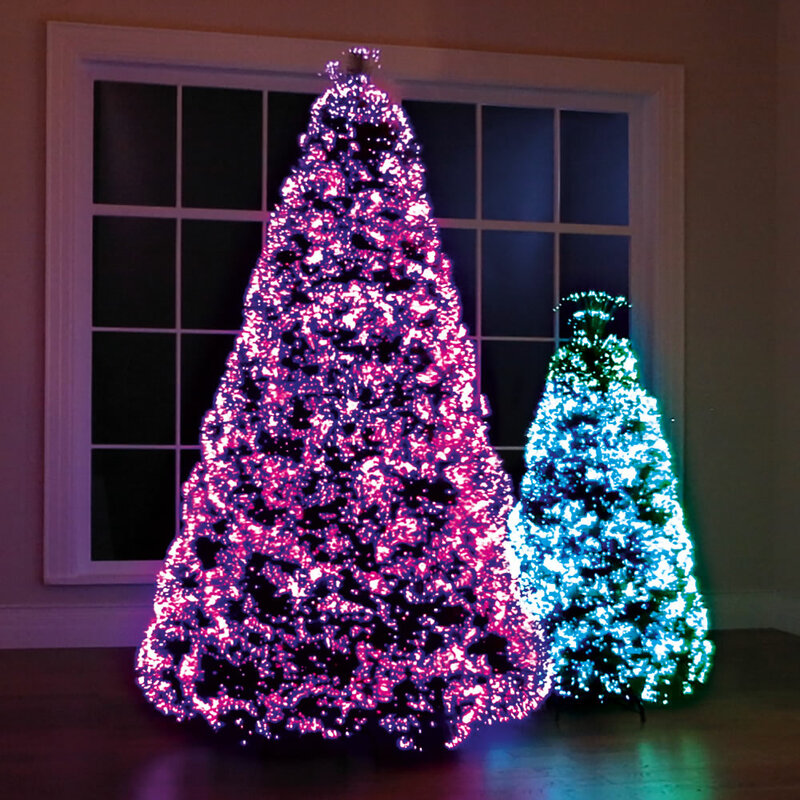 The controller enables one to easily select a lighting option, cycle through each mode, and set the timer to turn the tree on for eight hours and off for 16 hours. 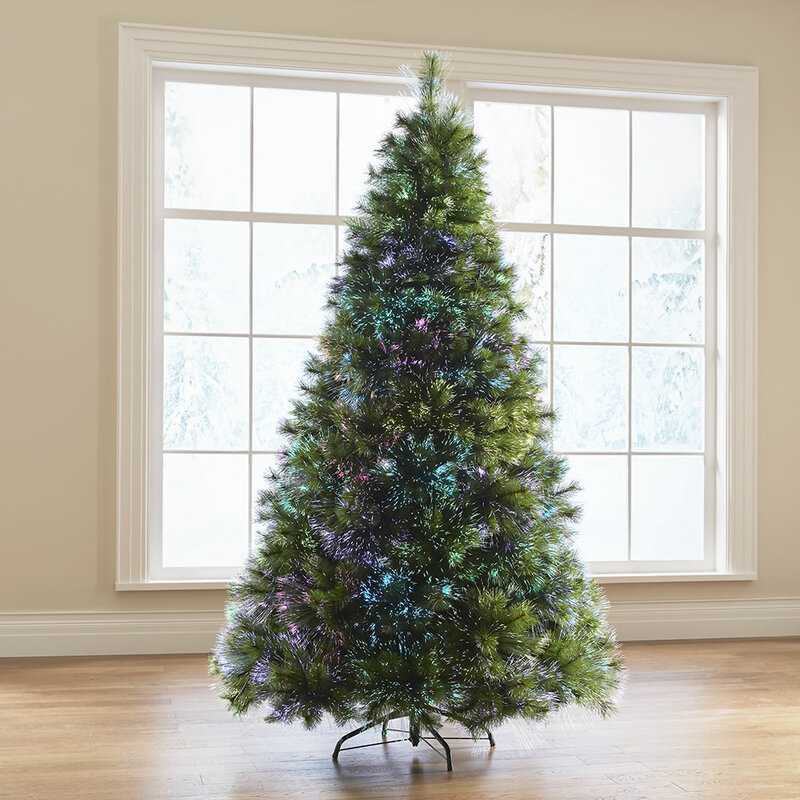 The tree’s sections simply stack and lock into place for ease of setup and rests on the included metal stand. 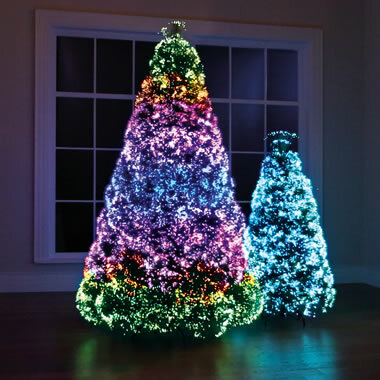 Plugs into AC.